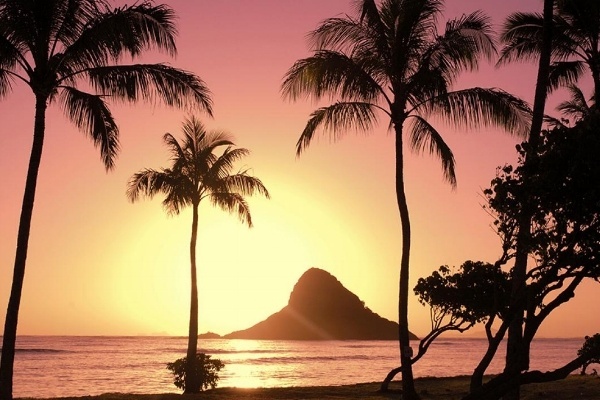 It is said that the silhouette of the state's iconic monument, Leahi -or Diamond Head-, combined with Honolulu's magical pink cloud horizon, a few miles from Waikiki Beach, produces breathtaking lights. However, you have to go further to discover the true essence of O'ahu, which hosts a significant amount of tours that give you the opportunity to interact with dolphins. An example is the Wildside Specialty Tours, just outside the port of Waianae. Both include swimming with dolphins in the wild, whale watching, snorkeling and activities to connect with nature. Deluxe Wildlife Charter (10 people, includes BBQ lunch and on-boat entertainment. Mexico has an impressive tourist offer and it is no coincidence that Cancun has positioned itself as one of the main attractions of the Mexican Caribbean, since it is located in an idyllic place. In addition, it is home to Mayan archaeological wonders, turquoise waters, a great underwater world and world-class amenities. It is considered the gateway to the Mayan World, since it has Mayan temples and ritual sites surrounded by a lush jungle. In Cancun, there is something for everyone. For those looking for beaches and diving -the most adventurous-, there are beautiful beaches that are not too crowded, just an hour or two south of Cancun, with cheaper accommodation than in big hotels. 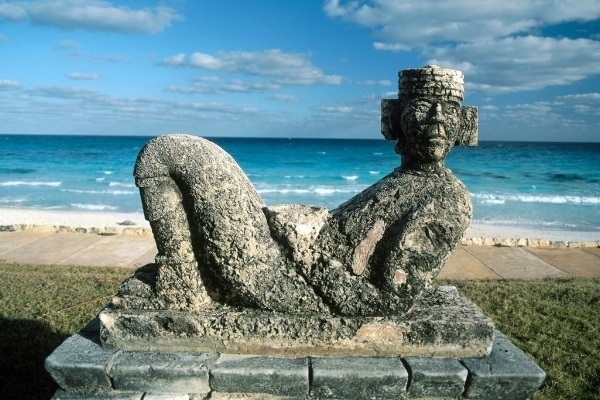 Puerto Morelos, Tulum and Playa del Carmen are the main attractions for this kind of tourists. On the other hand, for those looking for luxury hotels and the advantages of urban life with a local touch, go to Boulevard Kukulcan, specifically inside Hyatt Ziva Cancun Hotel, where you can find Delphinus Punta Cancún. 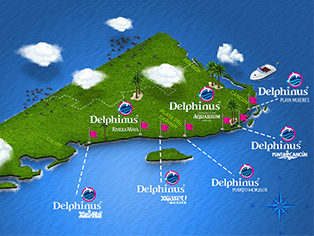 Delphinus offers a series of sustainable habitats that include different dolphin interaction programs, as well as conservation and environmental programs. Florida is full of places to interact with dolphins. 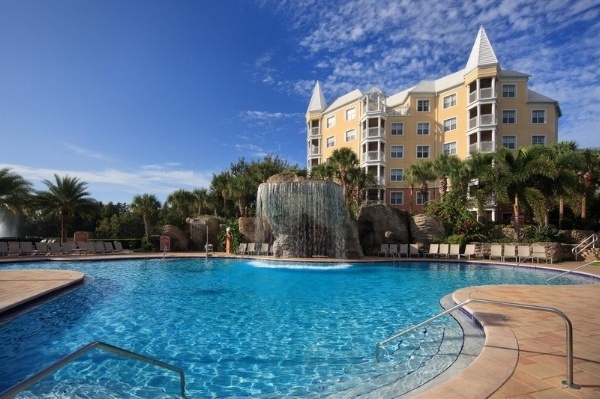 One of the best is Discovery Cove, in Orlando. Discovery Cove’s guests can swim among thousands of tropical fish, stingrays and other marine animals. The all-inclusive admission of Discovery Cove includes a ticket to SeaWorld Orlando, Aquatica Orlando or Busch Gardens Tampa. Grand Bahama has different ecosystems, from the rocky pastures and pine forests, to the beach and the coast. 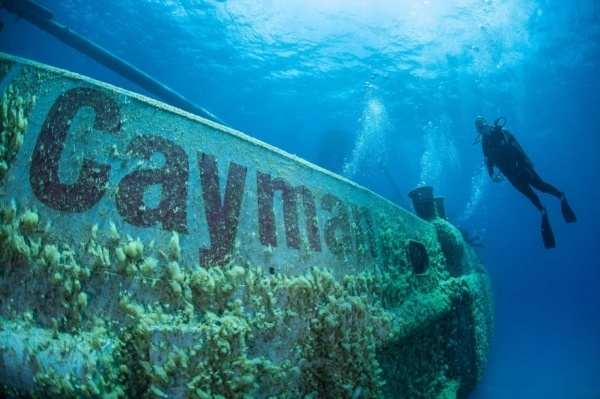 There are many different attractions there, including UNEXSO (Underwater Explorers Society), a center for diving, snorkeling, and interacting with dolphins. The Autonomous Region of the Azores is a group of nine volcanic islands located west of Lisbon. It has been kept away from the mainstream world, partly because of its location –in the Atlantic Ocean– and partly because of the high standards of responsible tourism. In fact, it is a UNESCO world heritage site. It is home to a vast number of dolphins, hot springs and thermal waterfalls formed from geothermal processes. 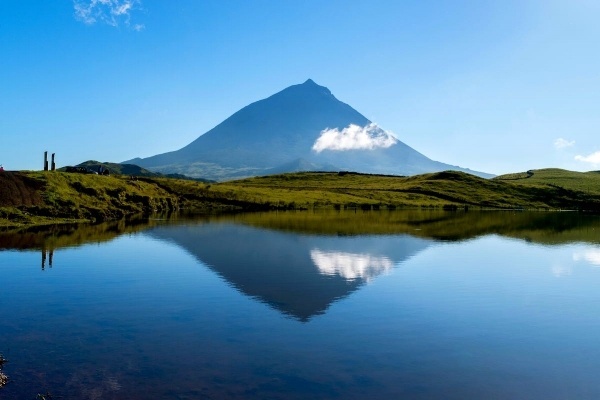 Pico Island is one of the most beautiful islands in the Azores and it is the best for swimming with dolphins surrounded by a peculiar, yet wonderful blue ocean. They are very close to Cuba and are perfect for relaxing. 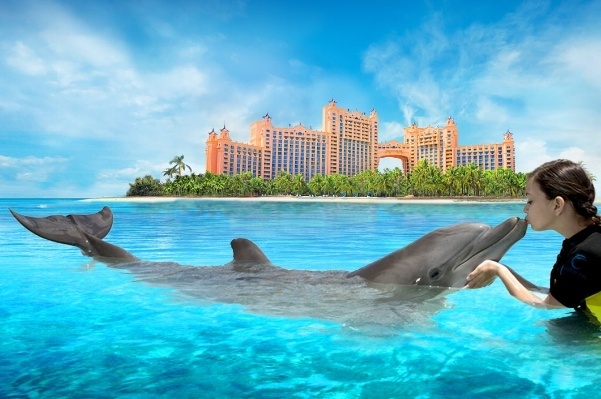 On Grand Cayman, the largest of the islands, you can swim with dolphins at Dolphin Cove. On this claw-shaped island you can find 'Seven Mile', one of the best beaches in the world, located on the west coast, north of GeorgeTown. Although it’s hard to believe, the South Pacific is a great place to swim with dolphins. 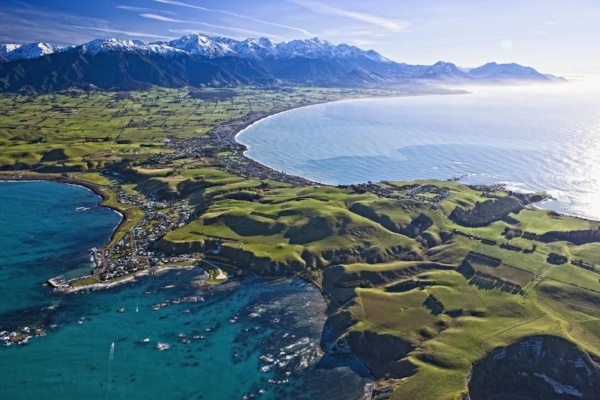 Dolphin Encounter is in Kaikoura, a spot on the South Island. In Akaroa, the only French settlement in New Zealand, you will find the Pohatu Marine Reserve. Kaikoura’s Dolphin Encounter’s highlight is that you can swim with dolphins in the wild.